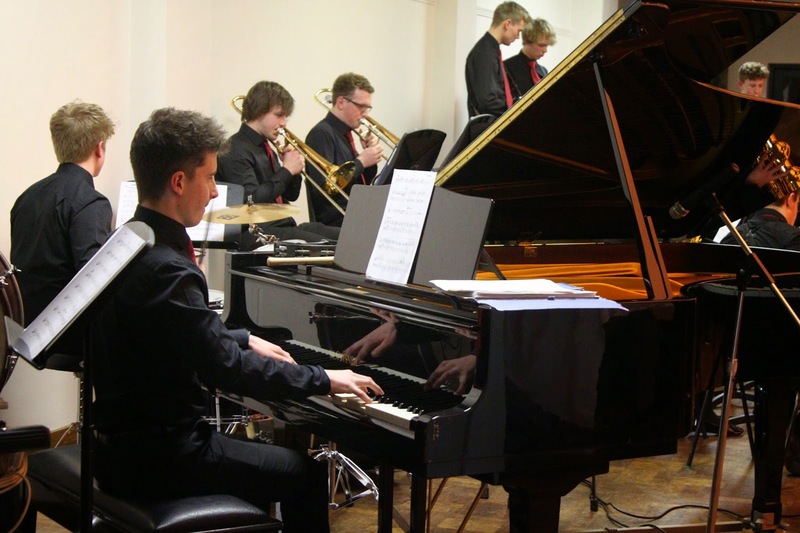 On Wednesday the 18th of March, both parents, teachers and fellow pupils flocked to the Burton hall for the ever-popular LES Music School Jazz Night, one of the most highly-anticipated events of the whole musical calendar. The night involves not only jazz music from the students, but also a delicious three course meal for every ticket-holder, courtesy of the Grammar School catering staff. This year's evening consisted of some of the highest quality playing from the students, who ranged from some or the youngest to some of the oldest from all three schools. The two solo pieces were very gladly received by the audience, with obviously very practiced and well thought-through performances from not only the soloists themselves, but also the ensembles as well. One of the many highlights of the night, was the Big Band, showcasing some of the best musical talent that the combined Endowed Schools has to offer, rocking the stage with both amazing ensemble playing, and also impressive solos from certain gifted individual students. Not to be confused with the contrasting Little Big Band; a much smaller and more professional ensemble, both arranged and ran solely by the students, with little to no help from the music teachers. The 'Cantare', a medium-sized group of singers from the girls' school from years 8-10, sang a few various different jazz pieces, successfully lead by Mr. Morris, head of singing. 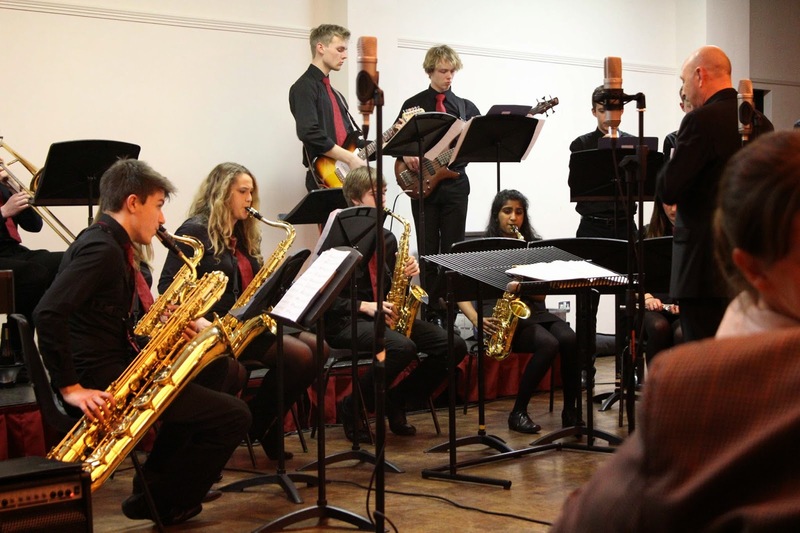 The Swing band and First Jazz groups showcased some of the new, upcoming talent of the schools, allowing some of the younger students to get into and explore different styles of music, such as jazz and blues, and also general ensemble playing. Overall, as always, the jazz night was a successful and enjoyable evening for all involved, allowing some of the younger students to see where they could possibly be in a few years. Let's hope we'll see you there again next year!